When you’ve been with a client long enough you know who your go-to reporters are, but with shrinking newsrooms and reporters covering several beats, it’s always a good idea to hit the refresh button on your “top tier” list when you’re in between announcements. It’s when we do this that we may discover a newcomer or come up with personalized angles that increase the odds of getting a response. At MSR we’re always encouraging our staff – from interns to account executives and managers to take time out of their week and become familiar with each client’s top tiers. By reading their latest articles or following them on social media, we’re likely to get caught up on what’s new in their world and what news or products they’re into (or not). You never know when an idea will spark, but this best practice is sure to get your creative juices going, and if you do end up pitching the reporter it shows you’re doing your homework. Freelancers can also be a great resource so long as you have a good handle on which outlets they work with and how often they contribute. If you’re just getting started and want to experiment, try selecting a handful who contribute to your client’s top-tier publications and sign up for their newsletters or follow them on social. This will give you a glimpse into their writing style, personality, and interests. If it’s someone that would benefit from your client’s product or service (and you have access to samples), consider offering a sample or trial. The goal here is to be a resource so the next time they’re pitching a story or on assignment, they think of you and your client. If you’re after short leads then this type of outreach is a great way to insert clients into breaking news or industry announcements. Depending on the client’s industry there may or may not be a lot of breaking news, but say your client deals with food safety and there’s a salmonella outbreak, you’ll want to pitch your spokesperson as a source on food safety best practices and tips for consumers. But before you engage in this type of outreach you’ll want to make sure you know which topics are off-limits because there’s nothing worse than securing an interview and then retracting your source because they’re not comfortable with the topic. While there aren’t as many print magazines around that doesn’t mean you should discredit EdCals as part of your proactive outreach. They still have a lot of helpful insight such as how the magazine plans to cover predictable seasons and themes (i.e. Valentine’s Day, Summer, Back to School, Holidays, January, etc.). When you’re researching for new story ideas this may be a great place to brainstorm. Finally, both HARO and ProfNet are great tools to help with proactive pitching, but what’s nice about them is they also give you insight into trends and how reporters are covering topics within your key industries. Before you engage, you’ll want to make sure your client has time to comment and just as with issues jacking, make sure you understand what’s off limits. If you have access to Cision’s ProfNet, it’s also a good idea to create expert profiles for all your key spokespeople so that they’re out there for consideration. 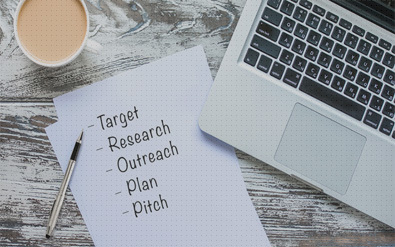 The most important thing to remember about proactive pitching is that it takes a lot of patience, research and dedication, which is why it’s great to do when you’re in between announcements. If you treat it like an ongoing task, it’ll ensure you have a few opportunities in the works.